Everyone knows what Facebook is. What they don’t know is that Facebook began tailoring their service for businesses years ago in an attempt to turn their free service into a profitable enterprise. This was done by allowing businesses to create a public Facebook presence known as a “page”. You make remember this initially as a “fan page” where you were prompted to become a “fan” of the page. That has since transitioned to “liking” the page as the thumbs-up Facebook icon has become a known part of its branding. However, everyone has to start somewhere. Facebook is the best bet for getting the ball rolling on your content marketing efforts. If you already have a Facebook page, this is still a good article to review, in the event, you may have missed some information. For those of you without a page, I will review the steps to creating a new one. Keep in mind, this guide is meant as a quick reference and to help clarify areas where Facebook’s documentation is vague (or written in an alien language). With that in mind, I will keep this as short and simplified as possible, skipping over some of the more mundane step-by-step details you may find on another website. So, what do you need to know in order to create a Facebook page? 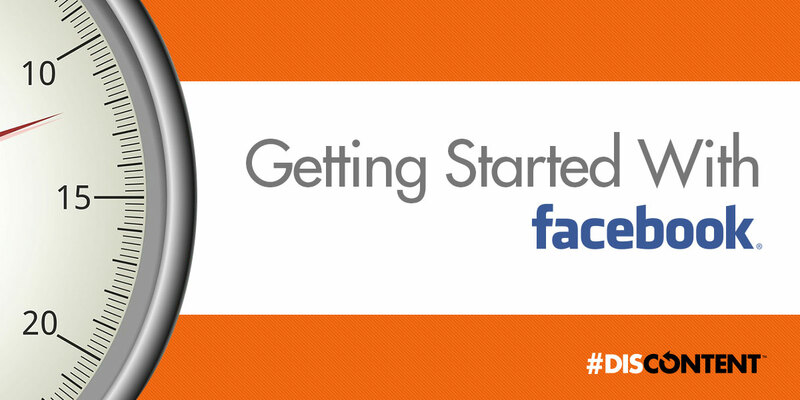 Facebook has a very thorough page on getting started with the creation of a business page. Rather than regurgitate that same information here, I encourage you to go to Facebook’s own How To Set Up A Facebook Page and supplement their steps with the suggestions I have listed below. The first thing to note is that you should never use a traditional Facebook profile for your business. Profiles are meant for you and me, individual persons, and typically have privacy settings which make it far less beneficial for your brand to use. Likewise, we’ve all seen the awkward name, such as the first name “Pizza” last name “Hut” floating around Facebook. That’s an example of what not to do. (Note: Pizza Hut didn’t do this, I just used their brand name as an example.) You’ll also lose the benefits of boosting posts for paid ads and being listed as a public entity within Facebook’s search engine (as well as other SEO benefits) by trying to be a profile which acquires friends, rather than a page that gets likes. If you went the wrong route there’s the added possibility that as your profile became more popular, Facebook would discover you’re not a real person and shut it down. Profiles also have a ceiling of around 5,000 friends which can connect with you. Pages are limitless in the number of likes they can have. Therefore, create a page. Don’t create a profile. The steps are fairly straightforward, but if you’re pressed for time, you may want to gather a few materials prior to starting the signup process. This will help you fill out vital details faster. Once you’ve gathered these materials you will have a well-rounded base from which to start a successful Facebook page. One of my biggest pet peeves is when someone uploads a logo that doesn’t fit into that nice square portion of your Facebook page. This square becomes the icon which is attached next to your business’ name on every post you make going forward. Therefore, it’s imperative that you make this image properly. As for a cover photo I prefer to use a photograph or a pattern as the image. Do not use anything with text, as Facebook pages render differently depending on the device you’re viewing from. What may look like a pitch for a grand opening date on your computer may have the words chopped off when looking at the same page on a mobile phone. Obviously, this photo should be attention-getting and professional. There’s no shame in using stock photography, provided it represents your business. Don’t use a photo of your building if it’s not visually appealing (this includes the dumpy looking cars which could be parked by it during the day). Leave friends, family, and/or pets out of this image too. This is your online business card for Facebook: make sure it looks that way! Facebook used to grind you through a lengthy sign-up process to start your page. Now it just jumps ahead without filling in some important information. Some of that information, if not checked, may be incorrect on your page and cause you some problems. Find this area of your page and click on the three dots button to open a drop-down panel. Select the first option, Edit Page Info and fill out all the details which pertain to you. If you’re operating a blog, for example, you will not have business hours. You may not have a public phone number either. Making sure these boxes aren’t left checked will help in not confusing your visitors. You can always do other things like turn on Facebook Messenger, create callouts, and more. Those are for more advanced users. There’s nothing wrong with going further into the process of setting up a Facebook page, but for the purpose of this article, if you followed the advice above, you are now ready to start posting! Don’t forget to invite your personal Facebook friends to like your new page and encourage more activity to it in the beginning days by sharing your page’s post on your own timeline.